Initially posted by Léo Martine in French, this article has been kindly translated by Radyi Nurmametov, GIS Officer at the ICRC. Wikimapia is a participatory mapping online project launched in 2006 by two Russian computer scientists, based on satellite imagery from Google. The operation is relatively simple: it is to trace places compared to satellite images and then assign annotations to explain what it is: a park, a hospital, a school, a mountain, etc. In 2013, more than 20 million locations were identified throughout the world. The data is often in the local language which requires a systematic translation. The attribute data system is much less extensive and effective than tags in OpenStreetMap. Export of data is much more complex than for OpenStreetMap, which is well equipped (Geofabrik, HOT Exports …). The purpose of this tutorial is to show you one way (among others) to export the data of Wikimapia, and create a layer for each type of object (e.g. a hospital layer, a layer of schools, etc.) to use in your QGIS project. Category ID: in this cell, you must enter the ID of the category you want to download (e.g. 287 for hospitals). To know the ID of the different categories, click See category full list. Be careful not to choose too large of an area, it is only possible to download 100 objects at a time. If you want to cover a large area, divide it into multiple queries. Once you have filled the settings, copy the link in blue (right click on cell A20 -> Copy) and paste it into the address bar of your browser, which will effectively start downloading a .kml file which contains all the objects that match your query. KML created by API Wikimapia is of “multigeometry” type which means that for the same purpose, there is both a point (placemark) and a line (you can see it very clearly in the Google Earth screenshot above, each school has both a yellow and a white outline placemark). The problem is that QGIS does not know how to open this type of kml, so we will have to convert it into two separate files, splitting lines from points. 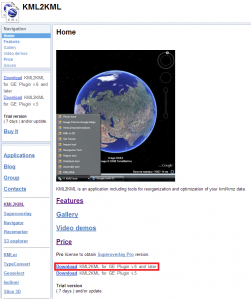 Follow the standard installation procedure, and once installed, open KML2KML. Click on the folder icon at the top left to open the KML file that was created and uploaded by the Wikimapia API. KML2KML then creates 2 shapefiles, a polygon shapefile containing the centroids (marks) and another containing the polygon outline (lines). 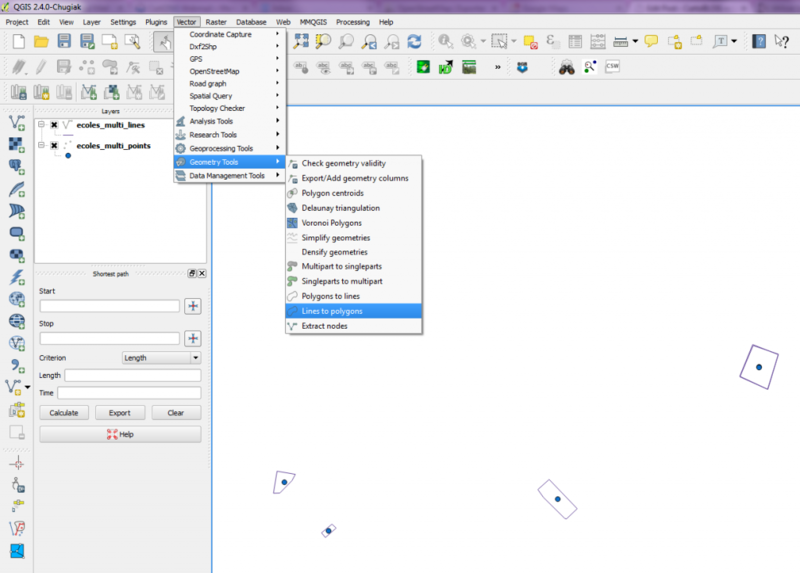 You can open both shapefile in QGIS and thus add this additional source of data to your projects. From also I get a tiny kml.part file, that I then rename .kml. The file doesn’t open in Google Earth or QGIS. can you please tell me how can download this. Also I wanted to ask how can i make shape files from this kml file need to download other parts of wikimap to prepare a base map in qgis. is it possible? if yes how? I think that what you want to do is exporting the roads (that’s why you put 181 as Id), but the API only allows you to download polygons but not lines (roads). So you are querying polygons with Road as ID which doesn’t exist (or maybe at some places, people might have trace a polygon around a thick road). Hi, i have da same problem – the kml file it’s empty. Can you please show me the query you are trying ? Great info here! The best I have found so far. I was able to generate the KML file for the desired area of interest. After reviewing it in both platforms, Google Pro and KML2KML, I can see it generated both the lines and the points (snice both geometries are vsisible). The issue here is that when I run the KML2KML tool, it only generates the points SHP but the line SHP comes with empty records. Any help will be really appreciated. Hi, excellent tutorial! I second Ernesto’s comment: it is the best tutorial found so far, and I also find myself with an empty SHP file, although the KML seems to contain data since polygons are displayed on Google Earth. Tell me if I’m wrong but looking at your query, it seems that you want to download residential neighbourhoods in Sudan ? I looked into the coordinated you entered and they seem to fall in the middle of the desert, west of Khartoum (so it makes sense that the result is empty). When I lunch your query I don’t even have a result in Google Earth. Can you check if the coordinates you entered are the right ones ? 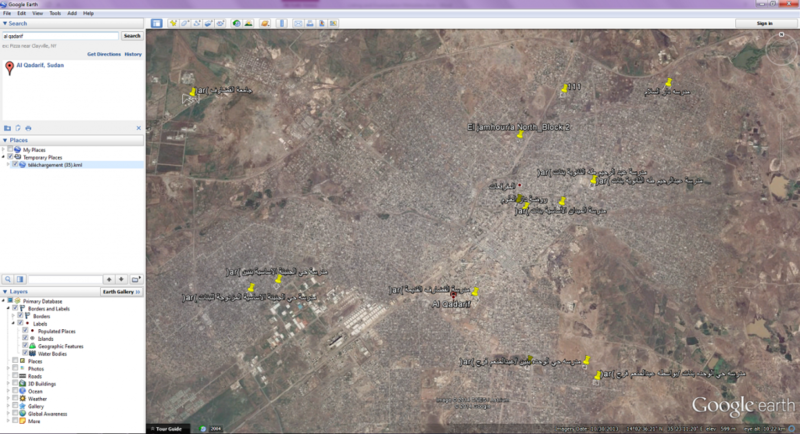 I was trying this method and I want large data set of a city to compare this data with OSM data. 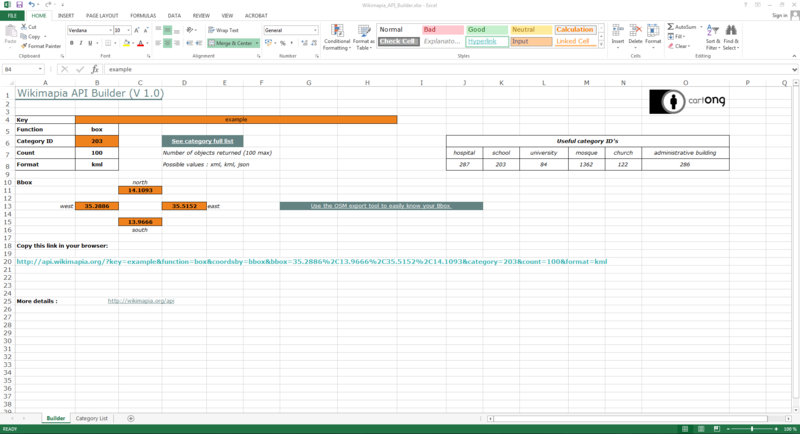 Please suggest if there any other method that can be used to download large Data?. Thank you for this. I have followed the steps until the download. I however get a download file with no extension and the KML2KML does not recognise it. the file type is “file” what does this mean? 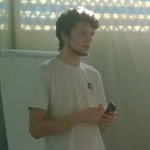 Léo is working at CartONG since April 2014 as GIS officer. He's sharing on this blog a few tips and tricks he has discovered during his trainings, developments and missions.